A short and sweet interview with the best museli maker around, meet the founder of Primrose's Kitchen, Primrose Matheson. Where are you and what are you doing right now? Tell us about your past jobs. What lead you to your current position? I worked two summers for my brother at his eco tourism rib company, first year as kiosk staff and second year running the whole thing. I went off to study and came back to Guernsey where I worked as a homeopath for two years and did free lance pr work for family businesses. I then went off to study Esalen massage and incorporated that into my therapies. I wasn't satisfied enough with begin a therapist, I dreamt of having my own products and getting my creative juices going so utilised the knowledge i had from my studies and the business knowledge i had learnt from running other peoples business and incorporated the two. Who and what influences your work? Lots of things inspire me. Latest superfood discoveries, new recipes I see,new products on the market, nature, my family. My parents had their own businesses, then my brother, they inspired the positive view i think you need to start something on your own and continue to instil the glass half full rather than half empty attitude which are the difference between things being a success or a disaster- 'your thoughts create your reality'. How did you come up with the concept for Primroses Kitchen? When did you become interested in healthy living? I knew I didn't want to just be a practitioner forever, i preferred the idea of having a product i believed in and marketing that and knew the practitioner element would be utilised naturally through the people i came into contact with and was able to offer guidance to just in conversation. I experimented with unusual ingredients and flavours to come up with something truly novel which tasted good but ticked all the health boxes I thought were important at the time. Then the muesli was born. My health in my youth was not very good as i had glandular fever, ME/chronic fatigue and I was sent to see nutritionists, healers, herbalists, homeopaths - you name it I saw them at some point so I became interested in that world from an early age and that is why i finally went on to study it. All those disciplines essentially all empower you to have control over your health, creating it for yourself rather than handing the responsibility over like what we do when we see doctors. When our body is dis-eased it is not "at ease" it is out of balance and we just need to be disciplined with ourselves, heal ourselves through nurturing the disease with a pure diet, exercise, plenty of water, mindfulness techniques, all things to reduce the stress and burden that has be an instigator for the imbalance. Sometimes supplementation is needed to correct imbalance caused by stresses but I don't advocate it for long term use as your body will forget how to do it itself. Tell me about some of the benefits of your products eg. the raw, gluten free muesli (which is delicious by the way). Why eat raw? Just to clarify, it contains 22% raw vegetables, the whole product is not raw as oats dont last more than a few weeks if they are completely raw so they are heated when they are pressed. But I believe balance is the key. We don't need extremes in any part of our life, food included as it inevitably needs to issues round control and body image. Extremes come when we are not in balance and our body is trying to compensate to bring a sense of relief and balance back. 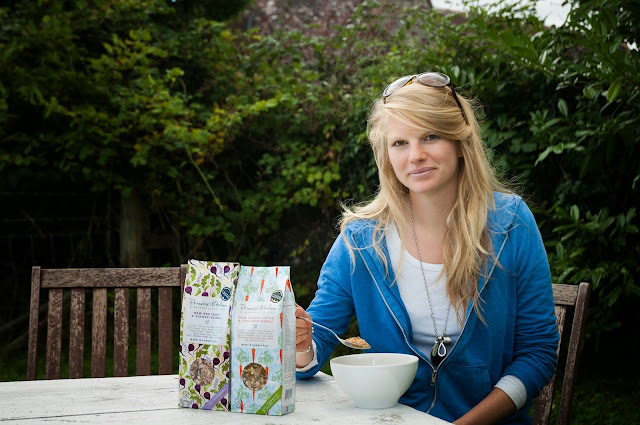 My muesli is gluten free so is suitable for most people with gluten sensitivity. It contains 22% raw vegetables to increase you vegetable intake during the day and offer you more fibre and minerals. I have also added beneficial seeds like milk thistle well known for there complementary effect on the liver, chia seeds for their high protein content and psyllium for its high fibre content for pushing out toxins from out system as well as lecithin for aiding fat metabolism and lowering bad cholesterol. I only use virgin coconut oil also which has great benefits for the gut and brain and skin. What are the most important foods to eat? In my opinion the most important foods to eat are vegetables as they are often the hardest ones to get down you but contain most of the important vitamins and minerals that you need in a form that your body can readily assimilate. Alongside vegetables is protein but from sources like nuts and seeds and pulses rather than meat which is acid forming in the body. And after protein top up your oil in take with natural oils like coconut and hemp as we need these healthy omegas to lubricate our joints, support mental health and healthy skin and gut. What is your preferred 'superfood' and why? Virgin Coconut oil- It tastes delicious, you can can add it to almost anything and it improves it. I use it instead of butter on rice cakes with marmite with a boiled egg! Its antiviral, anti fungal, antibacterial, although a saturated fat it actually benefits your heart, boosts metabolism and is fantastic for any digestive issues. A great moisturiser for the skin too! Do you ever have to sacrifice on flavour to create a healthy recipe? Not for my products as we have to be the instigators of change and you can't encourage people to change eating habits if everything that is on offer to do this tastes bland and boring. You have to convince them that good food can taste good too! Im an impatient cook as when I'm on my own as i always leave cooking until i feel hungry so then i just want to eat, so sometimes flavour goes out the window for speed! Can you recommend three simple ways to make out lives healthier? Drink a litre of water an hour before your breakfast- stops over eating through dehydration and will energise you for the day. Eat at least one raw food a day- we have a finite amount of enzymes in our body. Elderly people have poor digestion as they have fewer when they are old which is why its vital to keep a daily intake of enzyme rich food. Be conscious of your breath throughout the day, breath deep into your chest and exhale fully to dispel used air it will energise you and reduce stress held in our nerve rich stomach. Up and in the kitchen for 6.30 to advise staff for the morning then at my desk for an hour of PK social networking, breakfast at my desk ( i know !) organising orders that are gong out that day, emails, drumming up new stockists, organising in store samplings, looking into trade shows, working on ideas for new products, continually sourcing new ingredients or looking int new suppliers. I like to go for a run in the evening around 6.30, I live in Dorset so I run out the front door and down the lane and across some lovely sheep filled fields where I can take in some good fresh air. What are your 5 essentials? Baby bottom butter from waitrose. Sounds strange! but pure ingredients,cheap,can use it as a lip balm or moisturiser and lasts forever! Organic Rose of mosquito oil, a pure face moisturiser that reduces redness,expensive but you only need a tiny bit. Gluten free pancake mix- lots of brands out there but its my treat. Either sunday breakfast with coconut oil and sugar free jam or for afternoon tea in the winter by the fire. Cashmere jumper- A luxury I cant live without summer or winter. Keeps me cosy and always makes me feel elegant however scruffy i actually look! Nope, im afraid im a low maintenance country girl who cuts her own hair! Summers day, rising early with the sun. A satisfying and productive day in the office, finish at 3 and head to the beach with Isla my whippet, have a swim, watch the sun go down, come home and make a healthy salad and sit in garden and eat it then practise some guitar until it gets too cold then hop in the bath and light some candles and float away! It may be Spring/ Summer but I'm happy to wear black all year long. Oh to have a wardrobe full of Christophe Lemaire for Hermès! 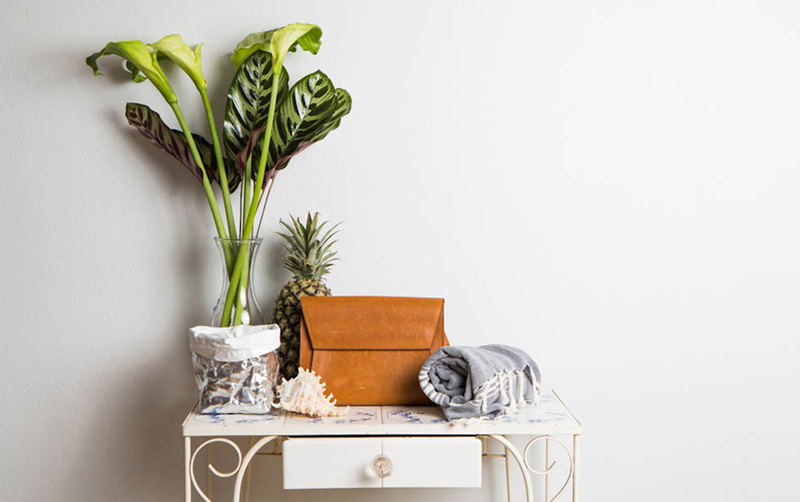 It's my pleasure to introduce you to the world of Lauren Davidson and Simon De Graaf of Sydney based lifestyle boutique Girl and Graaf. I immediately fell in love with their unique edit of homeware and clothing sourced from across the globe. Inspired by their shared passion for travel, cooking and bric-a-brac, Girl and Graaf stock a great range of brands including personal favourites Penelope Chilvers and Poplin Pajamas. I caught up with Lauren and Simon to discuss extraordinary objects and the pared down Girl and Graaf aesthetic. Tell us about your past jobs. What lead you to your current positions? I’m a bit of a jack-of-all-trades – I’ve been a ski-instructor, nanny, full-time student, political science intern and yoga teacher and have worked in corporate administration, events, hospitality and retail both here and overseas. It may seem odd that any of these jobs could lead to me where I am now (my parents certainly struggle to keep up! ), but I’ve always loved travelling and meeting new people, so running a business that imports gorgeous products from all over the world really is my dream job. Tell us a little bit about the concept for Girl & Graaf. Our aim at Girl & Graaf is to bring the excitement and romance of travel to everyday life. We try to find distinctive products from around the world and incorporate them seamlessly into the laidback Australian lifestyle. What makes Girl & Graaf unique? We’re unique in our deep appreciation of the fact that good things take time – sometimes we wait months for an artist or producer to prepare an order, but it’s always worth it. What do you look for in the pieces you showcase? There are many factors that come into play when looking for pieces to showcase. We’re very supportive of traditional techniques and craftsmanship in manufacturing so we try to deal directly with the people producing the pieces. There’s a sense of warmth that comes from owning something authentic and we’re always on the lookout for that quality. Who is the Girl and Graaf girl? I like to think of her as well-read and sophisticated; a bit of dreamer with an enquiring mind. She’s definitely someone who values quality over quantity and would wait patiently to find and maybe save up for that perfect piece. Does your personal style influence what you buy for the shop? Absolutely. The Girl & Graaf aesthetic is a direct extension of my own personal style (and Simon’s, though he tends not to get too involved in the fashion and jewellery buying!). What does the typical day at work look like for you? Is it too clichéd to say there is no typical day for me? I’m involved in every aspect of the business, so I might be packing orders, attending meetings and dropping off samples one day and working on the computer, paying invoices and drawing up budgets the next. What are your five essentials? Coffee, fresh air, family, a good white shirt and a decent hair cut. What are your top three pieces available in the shop right now? I’m craving relaxed mornings at home, so our Iris Pyjamas by Poplin are number one on the list. I’m smitten with the Spoon and Well from our Rare & Unique Finds collection and can’t go past our Alacati towel for sheer usefulness – bath towel, beach towel, emergency scarf, picnic blanket. I took it along on my last overseas trip and used it as all of the above. My perfect day would begin with me waking up feeling (and looking) fresh as a daisy, of course. I’d head to the beach for a coffee and leisurely walk, followed by breakfast at home with Simon. At about 1pm, I’d settle in for a long, lazy lunch by the water. A late afternoon swim and casual dinner with friends would be the perfect ending to my perfect day. We’re actually in the process of opening a concept store, close to our home in Bondi, Sydney. I’m looking forward to deepening the Girl & Graaf experience by extending it beyond the computer screen – I can’t wait to open the doors and invite our customers to literally step into our world. To see more of Lauren and Simon's work, visit their website. My latest interview is with 'Queen of Ballet Flats' Jane Winkworth, the founder and designer behind the globally renowned ballet shoe brand, French Sole. I was first introduced to French Sole flats by my super chic godmother and have been wearing them ever since. Elegant and comfy, they are one of my style essentials. I caught up with Jane to discuss her wardrobe basics and the merits of a good pair of flats. Hi Jane. Where are you and what are you doing right now? I am currently in the process of designing the Spring/Summer 2014 Collection. I was an art student with a passion for art, design, fashion and shoes. What inspired you to start French Sole? I saw a gap in the market for Ballet Flats and decided to start my own company based on my own designs for the footwear that I have worn since I was a teenager. I adore the ballet, I love the look and feel of ballet shoes and I am devoted to comfort. When I started my company there was absolutely nobody else on the planet specialising only in ballet flats. How would you describe the French Sole aesthetic in three words? All my work is influenced by my ability to know exactly what my customers will be wanting next year. I am also influenced by theatre, ballet, films, the catwalk and the footwear that major celebrities wear. Talk us through the design process. The design process starts from ideas and sketches which I do every day. Twice yearly I sit down with my assistant designers and we draw up the formal sketches which then are CAD drawn up to go to my pattern cutter and my last maker at my factory in Spain. Once the prototype samples are approved I sit down again with my team to discuss trend colours, catwalk looks and trends from Lineapelle and any other major European fashion events that we attend. Then we make the collection! What is your preferred material to use and why? I love all materials – at the moment I love the new mirror leathers. Baroque satins have influenced my collection for this Fall 2013. Do you design with someone in mind? I design with myself, my daughter, daughters in law and my granddaughters in mind as this represents three generations of French Sole devotees. What should a good pair of shoes do for someone? I good pair of shoes should ONLY be made in Europe, from Italian leather only and with full nappa or kid leather insoles, linings and outer soles. Money spent on shoes made in China is money wasted because their workmanship may be good but their leathers are terrible and will make only stiff and uncomfortable shoes which not last more than one season. A good pair of shoes should fit perfectly and be comfortable from the moment you try them on. If you could steal anyone's wardrobe - past or present - whose would it be and why? I would steal the wardrobe of Ines de la Fressange – my style icon. How would you describe your personal style and how does that manifest itself in your work? My personal style is semi-formal. I wear only classics with a twist of my own. I love Jbrand 811 jeans, Victoria Beckham, Chanel, Zara and Agnes B. I have also recently discovered Haute Hippie and JCrew. What are your 5 wardrobe essentials? I have a manicure and pedicure every week - my manicurist comes to my house in the country. Coming up next is the opening of my two latest stores, one in China in Beijing and one in Manila in the Philippines. My perfect day is on a Sunday in Los Angeles where I have a home. I spend part of every winter there. I get up late and go to the Polo Lounge at the Beverley Hills Hotel for brunch with a group of my movie industry friends.. I then go down to Malibu to meet up with my family, granddaughters, son and daughter in law, together with my brother and his family who have a house there and we have a long walk on Carbon beach followed by an early supper watching the sun go down over the Malibu pier as schools of dolphins splash about in the sea right in front of us. Back to Santa Monica and I attend the late Mass at St Monica's my local church, where more often than not I sit next to my lovely London Sole customer Maria Shriver and her adorable family. For more of Jane's work, visit her website. In the second part of my interview series with the Avenue 32 girls, I caught up ex-buyer for Browns and Harrods Erin Mullaney to discuss fashion fads and her current Avenue 32 edit. Where are you and what are you doing right now? We are in the office checking out NY fashion week on style.com as we missed going due to Snowstorm Nemo! It feels very strange not to be there but at the same time, I think we avoided a disaster and it will be so nice to go into London fashion week rested and not jetlagged and straight off a plane! Tell us about your past jobs. What lead you to your current position? I have been a buyer for about 10 years now – I started my buying career at Harrods working for Mohamed Al Fayed and then moved to Selfridges when the Weston family took it over, which was an exciting time. I then went on to become the Buying Director of Browns, one of the most iconic boutiques in the world, where I had the great pleasure of working with and learning from the inimitable owner Mrs Burstein. She taught me how to edit and that every single piece must be special. She also taught me never to be lazy – she always has time for new designers and tirelessly seeks out new and exciting product for her customers – this is something I have always been passionate about as well. Who is the Avenue 32 girl? I think we are all the Avenue girl – we always try to think about us and our friends and what they are looking to wear to certain events or to work, etc. Although we try to introduce and support emerging designers on Avenue32, we also want to make sure we are catering to our customer – who is not always a high fashion customer. She has a great career and may spend her disposable income on herself so shopping with us is a ‘treat’, she travels and she is quite independent – she comes to Avenue32 to discover something new, something different that none of her friends will have. Does your personal style influence what you buy for the shop? Yes and no – I have been a buyer long enough to know that you aren’t buying for yourself 99% of the time. You have to put your customer first. I think Roberta is our customer though – as is her sister and her mother, so in that way, I do always listen to her opinion but there is also an element of ‘will this sell’ and ‘is this the Avenue woman’? What does the typical work day look like for you? I love the fact that we don’t have a ‘typical’ day – every day is different. We travel a lot as well for work (4 times a year for market) which helps to break up stints in the office as I always get a bit restless being in an office for long periods of time. Roberta and I have a lot of meetings with our different teams each day – for me, it’s catching up with my buying team, approving and finalizing orders, working on trends, making sure our sales and e-commerce team know what deliveries are coming in, making sure our home page and other communication reflect what’s new, meeting with the marketing team about events and working closely with our PR… every day is busy and totally different, which I love. Celine bags & shoes – Roberta and I both have a slight addiction! What are your top three pieces available in the shop right now? FRENDS headphones – the rose gold taylor is our best seller at the moment and everyone in the office is obsessed with them. 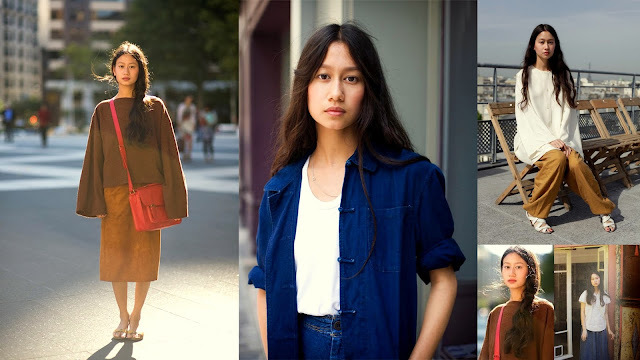 Cedric Charlier – everything and anything! This new designer is super-hot (he used to be at cacharel and lanvin before starting his own label last year) and his prices are unbeatable – snap up a piece from his pre spring now. Hussein Chalayan’s pre spring collection was to die for – I love this jacket with flouro trim. I can’t wait for our new designer Michaela Buerger’s beautifully handmade crochet t-shirts and collars… coming soon to Avenue32. Get on the waitlist now. Summers must-have. Any beauty rituals? I am religious about taking my makeup off at the end of the day – especially my mascara. I can’t sleep otherwise. And I have an AMAZING facialist (Roberta and I both go to her actually) called Jacqueline Parker at the SOMA centre (tel: 0207 000 1903) who sorts my skin out once a month with a glycolic peel and Oxygen facial. She has taught me so much about my skin and gives great advice. And my dear friend and incredible hairstylist Bianca Tuovi (with CLM) does my hair colour - I couldn’t live without her! Describe your perfect day. My perfect day would be a lazy Saturday wandering around Portobello market with my boyfriend, followed by a pub lunch/roast with our friends. I love simple days with no alarms and no plans the most. What’s coming up next? We are introducing some very exciting new brands to Avenue32 in the next 6 months so watch this space… we will also be doing a lot more offline events and marketing in 2013, including a possible pop up shop. For more of Erin's work, visit her website. 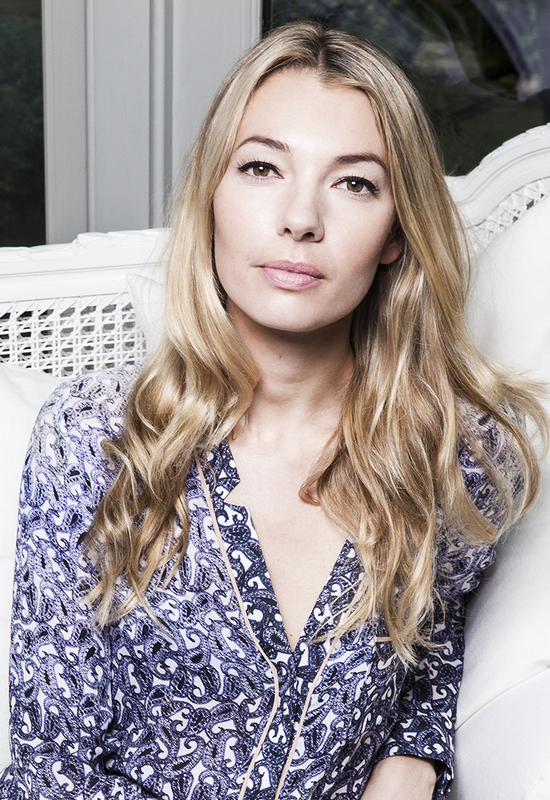 It's my pleasure to introduce the first of a two part series of interviews with Roberta Benteler and Erin Mullaney of luxury e-commerce website Avenue 32. Founded in 2011 by Roberta, Avenue 32 showcases up and coming fashion graduates alongside established industry heroes including Preen, Hussein Chalayan and Zac Posen. The site gives each designer the opportunity to create his or her own online shop, featuring their own imagery and videos, simultaneously creating consumer interaction and giving designers the ability to control their own online presence. I caught up with founder Roberta to discuss the story behind the next Net-A-Porter! Where are you and what are you doing right now? I am currently in the office. We were meant to be in NYC this week, but unfortunately due to Blizzard Nemo we had to cancel our trip. On the bright side though this means we will be fresh and rested for London Fashion Week, which for me is probably the most exciting one. Tell us about your past jobs. What lead you to your current position? Originally having worked in finance I decided to take time off to pursue my interest in the fashion industry. In 2010 I worked for a young designer, a key experience which enabled me to see the market from a designer’s point of view. I realised how many of them (young or established) struggle to control the way that their brand is portrayed online and to communicate what their brand is about. Avenue 32 was born out of the desire to create a platform that caters to and supports customers’ and designers’ needs alike, offering the highest level of service as well as an exciting and fresh brand mix. Tell us a little bit about the concept for Avenue 32. Avenue 32 is am ecommerce retailer that provides designers with a platform to operate in a multi – brand environment, but where they are able to curate their very own shop in shops within our e-store. Designers are in control of their content, from how their collections are presented to adding different element such as video content, images, catwalk material, inspirational pictures and texts and so on. At the beginning of the season, we will sit down with the designers and suggest to them the styles and ranges we love and think would work. The designers then select the styles they want to go with and produce them for us. We take care of the rest, such as the photography, warehousing, packaging, shipping and marketing. So instead of buying for wholesale we take a commission on retail, which means designers can earn up to twice as much as with the traditional wholesale model. What makes Avenue 32 unique? The concept for one, but also the fact that Erin and I have a real passion for discovering new designers, hopefully makes for an exciting and different brand mix. Does your personal style influence what you buy for the shop? Yes definitely, but it is also important to think about our customers when selecting. My personal taste is definitely not always the most commercial. What is your one piece of fashion or beauty advice? My fashion advice would be to figure out what shapes and colours suit you and stick to it instead of going with every trend. In terms of beauty advice, it would have to be hydrate and exercise! What does a typical work day look like for you? There are no typical days, as we travel so much and there are always meetings and new developments when we are in the office. What are you top three pieces available in the shop right now? Any beauty rituals? I have an amazing facialist who I see every two weeks if possible. I also have a manicure once a week and exercise at least 4 times a week. Describe your perfect day? A summer day at my house in Portugal with my boyfriend, swimming, reading, relaxing, followed by dinner at my favourite restaurant, which makes the best giant red prawns in the world! For more of Roberta's work, visit her website.